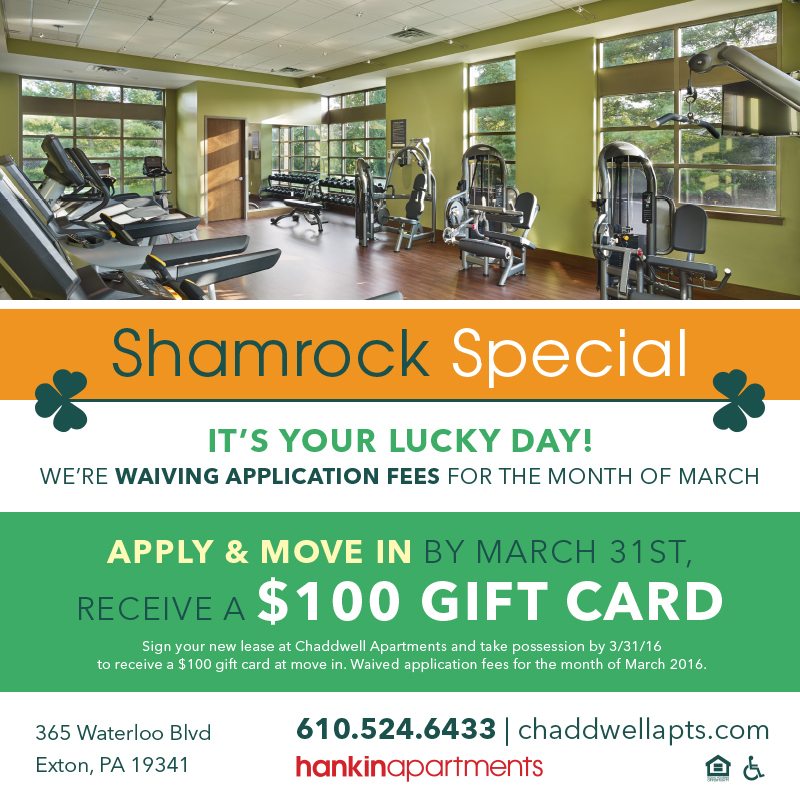 Claim your address in the growing neighborhood of Exton, Pennsylvania at Chaddwell Apartments. Featuring upgraded one and two-bedroom apartment flats, we have the home you've been searching for. We’re at the heart of Chester County’s shopping-and-dining hub, home to Exton at Main Street, Fairfield Place and Exton Square Mall. We’re just steps from all your neighborhood favorites like Target, Starbucks, and Whole Foods. Live a balanced life with an equal amount of work and play in your day! Take advantage of our premier on site amenities that are designed to build community. Sweat it out in our state-of-the-art fitness center. Soak in the sun at our resort style swimming pool. Meet new friends at our outdoor entertainment lounge featuring barbecue grills and a fire pit. Chaddwell is the setting to your story, come write your next chapter here!